Vehicles ads in Australia. Thank you for visiting our free advertising website Vehicles, Australia section. We provide high response free classifieds and free advertisement. Use our online free Vehicles classifieds placement system to find, list, offer Vehicles online! Taking pride in providing honest advice and quality services to clients all at affordable prices when we arrive in our fully equipped mobile workshop ready to be at your service. A1 Pride Mobile Mechanics is your reliable mobile mechanic in Sydney Website:	http://www.a1pridemobilemechanics.com.au/ Phone:	415073306 Email:	contact@a1pridemobilemechanics. STOP LOOKING. FACTORY DIFF LOCKS FITTED IN THIS 11 SEAT LANDCRUISER TROOPY. PLUS YOU ALSO HAVE A STEEL BULLBAR, DUAL BATTERIES, TOWBAR AND ALL THE TYRES ARE BRAND NEW. STANDARD FEATURES INCLUDE A/COND, P/STEER, TRAVELLED ONLY 122000KLM MAKES THIS TROOPY HARD TO GO PAST PARTICULARLY WITH FACTORY DIFF LOCKS. 2008 pajero exceed Great family car with leather seats for 7 Travelling with the kids is a breeze with the roof mount DVD player with added infer red head phones for easy listening Premium sound system with GPS in built and factory Sub Duel A/C for both front and rear for maximum comfort 4 new tyres fited 1 month ago Hayman Reese Tow bar No Beach or Bush driving 10 months AWN warranty 121000 kilometers Rego till February 2017 All receipts of work done to vehicle since i have owned it. Bluey's Boathouse is the conspicuous association that has been putting forth an extensive variety of Fishing Charters all through Melbourne. We have been offering luxurious and open to fishing charters and boat hire service. We are pleased with being the main, most secure and most prepared angling pontoon contract specialist co-op in Melbourne. Volvo PV 444 (1947-1958) bumpers stainless steel One set include: 1 front bumper in 3 parts, 2 overriders 1 rear bumper in 3 parts, 2 overriders, 1 rear bar Mounting Kit. Bumper are made of one the best solid stainless steel SAE 304 which never gets rusty, 1. Volkswagen Karmann Ghia year 1972-1974 bumper stainless steel One set includes : 1 front bumper and mounting kit 1 rear bumper and mouting kit Bumper are made of one the best solid stainless steel SAE 304 which never gets rusty, 1.5-2mm thickness and Surface is polished bright mirror, inside is painted 3 layers. Opel GT year (1968–1973) bumper stainless steel 1 set includes: 1 front bumper, 2 halves rear bumpers, 4 overriders and mounting kit Bumper are made of one the best solid stainless steel SAE 304 which never gets rusty, 1.5-2mm thickness and Surface is polished bright mirror, Inside is painted 3 layers. Mercedes Benz W108 & W109 years (1965-1973) bumpers stainless steel One set bumper includes : 1 front bumper in 4 parts plus front joining stripe, 2 rubber 1 rear bumper in 4 parts rear joining stripe, 1clamp, 1 long rubber. Bumper are made of one the best solid stainless steel SAE 304 which never gets rusty, 1. BMW 2000 CS Sedan year (1965-1969) bumper stainless steel One set includer: 1 front bumper in 3 parts and 2 over-riders, 1 rear bumper in 2 parts and mouting kit. Bumper are made of one the best solid stainless steel SAE 304 which never gets rusty, 1.5-2mm thickness and Surface is polished bright mirror, Inside is painted 3 layers. A one owner vehicle from new this 2008 (FY09) VE 6.2ltr HSV GTS has been driven and fastidiously maintained by a real car enthusiast and always garaged. This vehicle is in as new original condition having travelled only 96, 570 kms, with regular servicing and full history. This vehicle is a completely unmolested example and has been maintained in original condition, right down to the new OEM Bridgestone tyres all round and new battery. Extremely well looked after, low kilometre, one owner Pajero. Sought after 25th Anniversary model with a host of luxury features including: - Multi-function Control Screen - Climate Control with Rear Air Conditioning - Leather Seats, Gear Knob and Steering Wheel - GPS (Satellite Navigation) - Heated and Electric front Seats - Centre Differential, Torsen Front Differential and Free Wheeling Hubs - Auto-locking - Seven Seats Also has Alloy Bull Bar, Tow Bar and Roof Racks fitted and comes with our conditional Three Year Warranty with Roadside Assist, at no extra cost. This Toyota Landcruiser has 6 airbags fitted for your protection, and is in excellent condition. Imagine a whole new world driving this 2008 Toyota Landcruiser. It has Bluetooth enabled system, cruise control, side steps, 17" alloy wheels and long range fuel tank. It has rear cup holders. This car won't last long at this price $39800. All our trailers are ensured to be controlled and checked with our team of specialists to meet an Australian Design Regulation (ADR) criteria for the safety of our customer and community. Our aim is to provide great service to our customers and %100 Customer satisfaction. 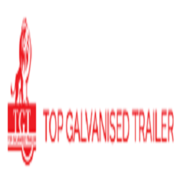 Our company mainly is focusing on galvanised trailers which would last longer and are in fact rust-free. MERC4WD is one of the best Mercedes Benz Parts providers in Melbourne. With 25 years of experience in automotive market, we offer Mercedes Benz parts including brands ML-Class, OEM, GL class and all Mercedes 4WD wheel drive. We delivered Mercedes Benz parts across Australia on the next business day. For. Are you looking for a Roadworthy Certificate in Sandringham? Chandos Auto’s are fully licensed and authorized to provide a roadworthiness certification to all the car owners in Sandringham. Our team of expert and skilled mechanics provides a comprehensive analysis of your vehicle and guide for overhauling if required. Explore the best in quality, performance and mileage campervans in Australia at Beaches RVs. You can choose your campervans from our wide range. Campervans at Beaches RVs stand out in whole Australia as they are well maintained and thoroughly tested before they are ready to sell. https://www.beachesrvs. Ali's Engine Room - Hyundai Car Wreckers and Servicing Experts in Perth. If you need Hyundai car parts, call us today 08 9248 5365 We are committed to personalised service. We supply new and second hand Hyundai spare parts & Kia spare parts, tyres, batteries, and providing expert fittings for all in our car servicing Our Services Include: * All car & 4X4 Servicing (all warranty & insurance work provided) * Car repair * Expert advice * Windscreen specialist * Tyres * Great value * Car wrecking * Quality Hyundai Spare parts and components supplied & fitted * Supply/fit mobilisers, reverse sensors, bluetooth, CD players For more details Ali's Engine Room http://www. Motodojo provide QRIDE training and assessment for people wishing to get their motorcycle licence in Queensland. We train you and we approve your licence, all you do at Queensland Transport is the paperwork. Book on line or call 07 3208 7999 662 Compton Rd Calamvale QLD 4116 john.motodojo@gmail. Duralloy manufactures truck trailers which are designed to deliver durability, quality, and reliability. All trailers are ready to load up and drive off. Check out our range of Products - Heavy Duty, Extra Heavy Duty, Service Bodies, Tippers, Gates & Tarps, Pantech, Curtain Sider, Fifth-Wheel, Trailers. Servicing local & surrounding areas: New & Used Car Book Serving Air Conditioning repairs & maintenance LPG tuning, conversions & repairs Full Brake & Clutch work New Tyres (fitted & balanced) Wheel alignments Roadworthy Certificates Full suspension work And much more Phone us for a quote today on 03 5821 5806! 17 Campbell Street Shepparton VIC 3630 https://www. 4x4 duel seat with rails and seat belts to suit Toyota. Are you looking for Cash for Unwanted Cars buyers in Perth? Are you looking to get rid of your unwanted cars which were wrecked in an accident or an old car which is rotten in the garage without using it for years for a nice amount of cash? Then consider contacting Leading Car Removal or car buyers like our company – Star Car Removal WA for your service. We are a well-established Car Removal and Cash for cars company located in Gosnells, WA. Northside Rentals have a fleet of omnibus licensed vehicles ready to hire! We cover the vehicle registration, annual inspection, all servicing costs and are fully tax deductible. Our omnibus fleet has Infiniti Q70, Infiniti QX70, Volkswagen Multivan and Audi A8. All available for short or long term rental in Perth Get Click Here :- https://northsiderentals. Looking for a Commercial Vehicle Recycling Service in Sydney? Call Paul Car Removal today at 0466 879 131 for Recycling Trucks, Cars and Vans and other unwanted vehicles and get top dollars up to $9999..
Get Cash for Scrap Cars Sydney wide up to $9999. Paul Car Removal is a professional & licensed scrap car buyer that buy scrap car of any condition..
We offer Free Car Removals Services Sydney wide. Scrap Your Car today with us and get instant Cash for Your Cars Up to $9, 999. We clear any Make or Model. 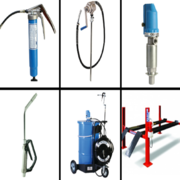 Call 0466 879 131..
Are you searching for quality Automotive Garage Equipment Suppliers in Melbourne? Then W.A. Fink and Son supply automotive garage equipment at the best price. We have years of experience in this industry. Our main aim is safety hence all hoists and lifts are manufactured with safety features. To inquire feel free to contact us on (03) 9706 6353. Finding a great mechanic that you can trust in Melbourne, Victoria is hard. There are hundreds to choose from, so where do you go? The answer is Hopper's Express Cylinder Heads. Our expert team manufactures as well as repairs the reconditioned engines from last 25 years. For more details, please visit our website or call us on 03 9748 4722. Volvo Amazon EURO (1956-1970) bumper stainless steel One set includes: 1 front bumper in 3 parts, 2 overriders 1 rear bumper in 3 parts, 2 overriders Mounting Kit. Bumper are made of one the best solid stainless steel SAE 304 which never gets rusty, 1.5-2mm thickness and Surface is polished bright mirror, Inside is painted 3 layers. 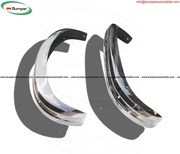 Volkswagen Type 3 bumpers ( 1970-1973 ) stainless steel One set includer: 1 front bumper, 1 rear bumper and mouting kit. Bumper are made of one the best solid stainless steel SAE 304 which never gets rusty, 1.5-2mm thickness and Surface is polished bright mirror, Inside is painted 3 layers. Please see Video Youtobe: https://www. Australia free ads for Vehicles, Australia, Vehicles free ads Australia, Vehicles for sale Australia, Vehicles to buy in Australia. Find on this page free classifieds for Vehicles in Australia. This listing includes classifieds for sale and to buy in Australia. FREEADSAustralia Australia offers you a platform to post free advertisements or classifieds for Vehicles in Australia. FREEADSAustralia helps you search, find buy, sell, rent or hire in various categories like apartments, goods for sale, local services, cars , jobs and many more in Australia. If you posted an advertisement in category Vehicles of FREEADSAustralia Australia before please use Edit my ads button to change or cancel your ad. Vehicles Australia ads Australia, Vehicles classifieds Australia, Vehicles free ads Australia, ads for sale Australia, ads to buy Australia, FREEADSAustralia Page number 9-1. Find here ads for sale, to buy and rent in Australia. Goods for sale in Australia, vehicles for sale in Australia, Australia real estate for sale, Australia property for sale, property for rent in Australia, business ads in Australia, Australia business classifieds, services in Australia, Australia services ads, jobs in Australia, pets for sale in Australia, Australia dating, Australia cars for sale.